Showing results by narrator "Simon Peterson"
British Narrator Simon Peterson reads The First Book of Samuel in this wonderful audiobook collection of The Old Testament. As a well-known Christian Broadcaster, Simon has the ideal voice for those of all ages who want to listen to The Bible in full, unabridged form. His emotive reading perfectly captures the beauty and power of God's Word and makes the King James English clear and easy to understand. 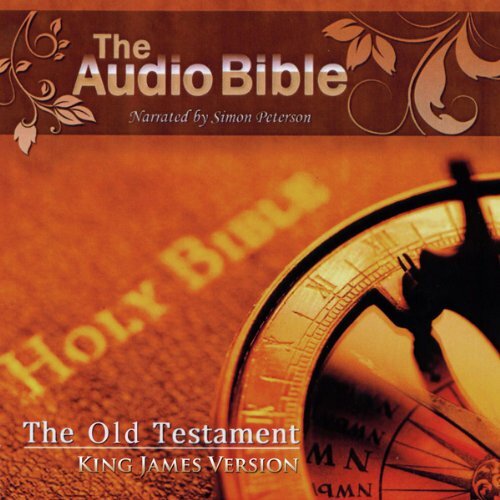 British Narrator Simon Peterson reads The Book of Isaiah in this wonderful audiobook collection of The Old Testament. As a well-known Christian Broadcaster, Simon has the ideal voice for those of all ages who want to listen to The Bible in full, unabridged form. His emotive reading perfectly captures the beauty and power of God's Word and makes the King James English clear and easy to understand. British Narrator Simon Peterson reads The Acts of the Apostles in this wonderful audiobook collection of The New Testament. As a well-known Christian Broadcaster, Simon has the ideal voice for those of all ages who want to listen to The Bible in full, unabridged form. His emotive reading perfectly captures the beauty and power of God's Word and makes the King James English clear and easy to understand. 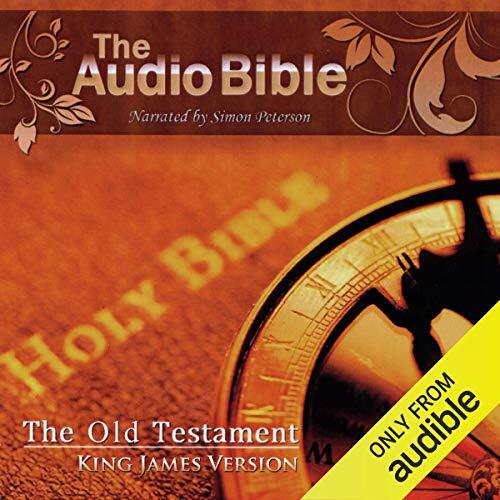 British Narrator Simon Peterson reads The Book of Joshua in this wonderful audiobook collection of The Old Testament. As a well-known Christian Broadcaster, Simon has the ideal voice for those of all ages who want to listen to The Bible in full, unabridged form. His emotive reading perfectly captures the beauty and power of God's Word and makes the King James English clear and easy to understand. British Narrator Simon Peterson reads The Epistle to the Colossians in this wonderful audiobook collection of The New Testament. As a well-known Christian Broadcaster, Simon has the ideal voice for those of all ages who want to listen to The Bible in full, unabridged form. His emotive reading perfectly captures the beauty and power of God's Word and makes the King James English clear and easy to understand. British Narrator Simon Peterson reads The Epistle to the Galatians in this wonderful audiobook collection of The New Testament. As a well-known Christian Broadcaster, Simon has the ideal voice for those of all ages who want to listen to The Bible in full, unabridged form. His emotive reading perfectly captures the beauty and power of God's Word and makes the King James English clear and easy to understand. British Narrator Simon Peterson reads The First Epistle to the Corinthians in this wonderful audiobook collection of The New Testament. As a well-known Christian Broadcaster, Simon has the ideal voice for those of all ages who want to listen to The Bible in full, unabridged form. His emotive reading perfectly captures the beauty and power of God's Word and makes the King James English clear and easy to understand. British Narrator Simon Peterson reads The Book of Genesis in this wonderful audiobook collection of The Old Testament. As a well-known Christian Broadcaster, Simon has the ideal voice for those of all ages who want to listen to The Bible in full, unabridged form. His emotive reading perfectly captures the beauty and power of God's Word and makes the King James English clear and easy to understand. British Narrator Simon Peterson reads The Second Epistle to the Thessalonians in this wonderful audiobook collection of The New Testament. As a well-known Christian Broadcaster, Simon has the ideal voice for those of all ages who want to listen to The Bible in full, unabridged form. British Narrator Simon Peterson reads The Epistle to the Ephesians in this wonderful audiobook collection of The New Testament. As a well-known Christian Broadcaster, Simon has the ideal voice for those of all ages who want to listen to The Bible in full, unabridged form. His emotive reading perfectly captures the beauty and power of God's Word and makes the King James English clear and easy to understand. British Narrator Simon Peterson reads The First Epistle to the Thessalonians in this wonderful audiobook collection of The New Testament. As a well-known Christian Broadcaster, Simon has the ideal voice for those of all ages who want to listen to The Bible in full, unabridged form. His emotive reading perfectly captures the beauty and power of God's Word and makes the King James English clear and easy to understand. British Narrator Simon Peterson reads The Book of Job in this wonderful audiobook collection of The Old Testament. As a well-known Christian Broadcaster, Simon has the ideal voice for those of all ages who want to listen to The Bible in full, unabridged form. His emotive reading perfectly captures the beauty and power of God's Word and makes the King James English clear and easy to understand. British Narrator Simon Peterson reads The Epistle to the Romans in this wonderful audiobook collection of The New Testament. As a well-known Christian Broadcaster, Simon has the ideal voice for those of all ages who want to listen to The Bible in full, unabridged form. His emotive reading perfectly captures the beauty and power of God's Word and makes the King James English clear and easy to understand. British Narrator Simon Peterson reads The Book of Esther in this wonderful audiobook collection of The Old Testament. As a well-known Christian Broadcaster, Simon has the ideal voice for those of all ages who want to listen to The Bible in full, unabridged form. His emotive reading perfectly captures the beauty and power of God's Word and makes the King James English clear and easy to understand.